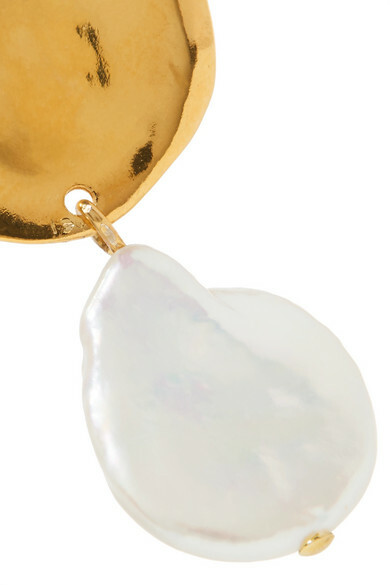 Chan Luu's jewelry is meticulously handcrafted by artisans with more than two decades of experience - no detail is overlooked, which is why it takes about 200 hours to complete a single piece. 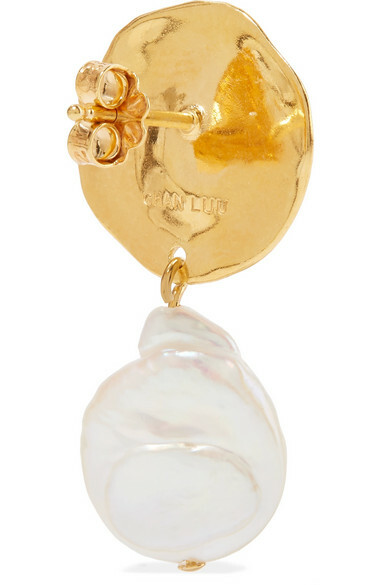 These earrings have lightly hammered gold-plated silver studs anchored by lustrous freshwater pearls. Keep yours in focus with swept-back hair. Shown here with: Mara Hoffman Top, Alighieri Necklace.